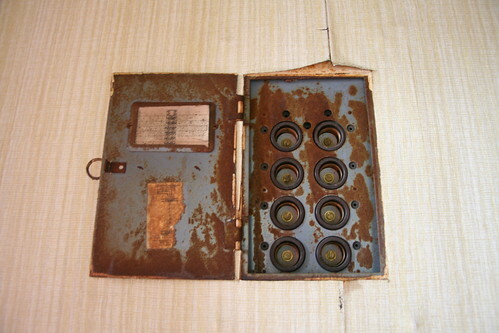 In the era before circuit breakers, there were screw fuses. Circuit breakers dramatically improved the safety of domestic electric power. Back in the day, when your fuse blew, you needed to replace it with an identical fuse. Since it would be common to blow a fuse more than once if a circuit was legitimately overloaded, people would often replace a blown fuse with a higher rated fuse. This would keep the fuse from blowing, but would overload the lower rated wiring in the walls and lead to electrical fires.